Two more visiting locomotives announced for September 2014!! 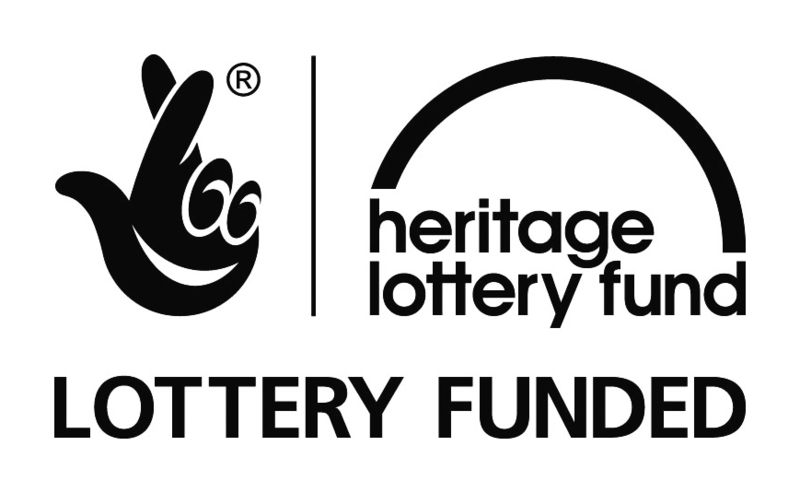 We are delighted to announce two more visiting locomotives for the Tracks To The Trenches event. Both are historic internal-combustion machines, and they are being displayed courtesy of the Welsh Highland Heritage Railway (WHHR). Motor Rail 264 was built in 1916. 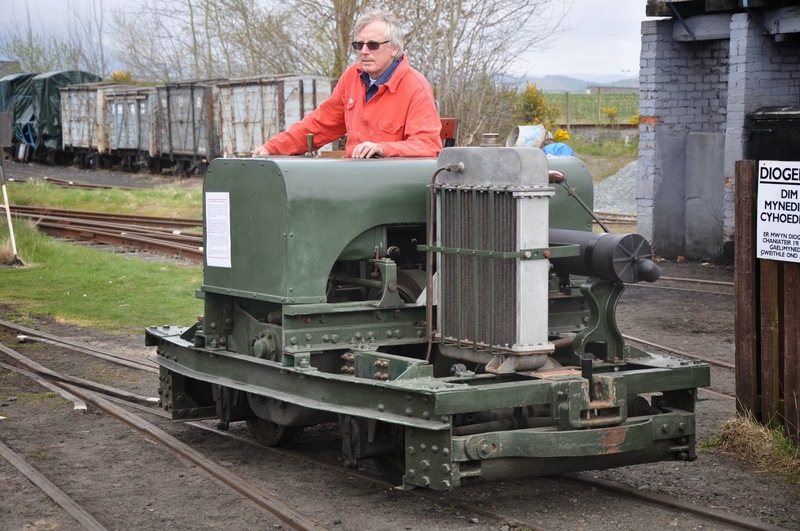 It is a 20hp “Simplex” locomotive, and is the oldest surviving Simplex in Great Britain. These locomotives, known as Petrol Tractors, formed the backbone of the War Department Light Railway effort during the First World War. 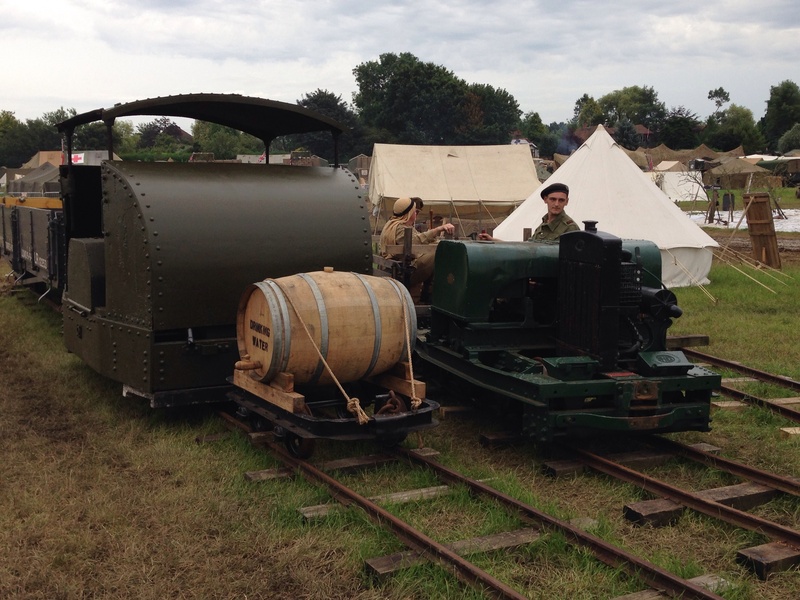 These Tractors were vital in moving supplies from railheads up to the front lines. They could be used in areas where steam locomotives were too vulnerable to enemy fire. Hundreds were built in Bedford by the Motor Rail & Tramcar Company. This particular locomotive is still fitted with a Dorman petrol engine ““ many others were converted to diesel engines after the war. Although precise records of its wartime service are unavailable, it seems highly likely that this locomotive served on the Western Front in France. The history of the locomotive after the War is unclear, although it is said that the locomotive worked at the notorious Porton Down camp in Wiltshire. In the 1950s, the locomotive was working at a peat works in Somerset until preserved in the 1970s. The locomotive was restored to its current original condition at the WHHR facility at Gelert’s Farm, Porthmadog. Joining Motor Rail 264 on the journey to Apedale from Porthmadog will be Baguley 760. 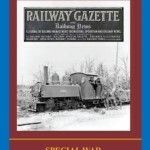 These small, 15hp, locomotives were originally intended to operate close to the front lines. However, they suffered from glowing exhausts when working hard ““ which made them ideal targets for enemy snipers! Therefore, they were re-allocated to less onerous tasks. This particular locomotive was ordered in Board of Trade’s Timber Supplies Department in 1918. 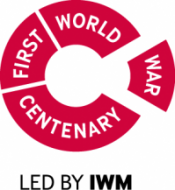 The Timber Supplies Department had the vital task of obtaining the vast supply of timber needed to provide shoring and other materials for the vast networks of trenches so characteristic of the First World War. Canadian troops, with extensive experience of tree-felling, developed a strong association with this type of work. Again, the war record of this locomotive is unknown, but it later worked for a cement works in Bedfordshire. 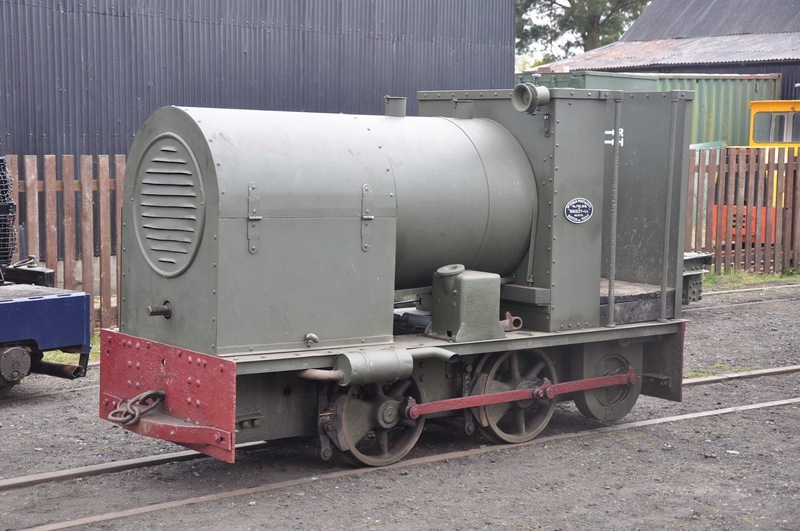 It was bought for preservation in 1965, making narrow gauge history by being the first locomotive to pass through the hands of Alan Keef, the well-known dealer and manufacturer. After many years, it was restored by Peter Lowe at his Abbey Light Railway in Leeds. Following Peter’s untimely death in 2012, the locomotive passed into the care of the Welsh Highland Heritage Railway. Phil Robinson, MRT Chairman, said “We very much look forward to hosting these two locomotives in September. 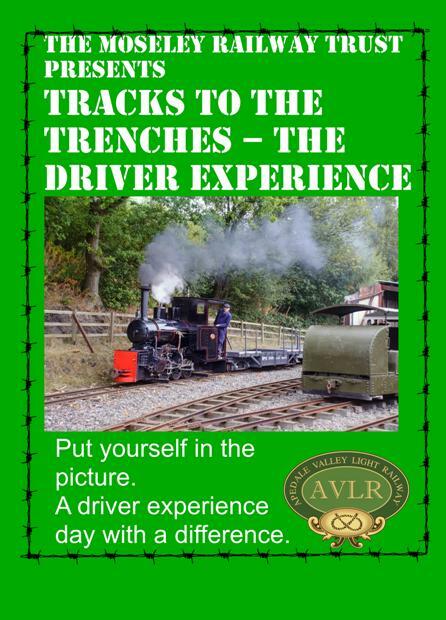 Tracks To The Trenches is fast becoming the Must Do narrow gauge event of 2014. 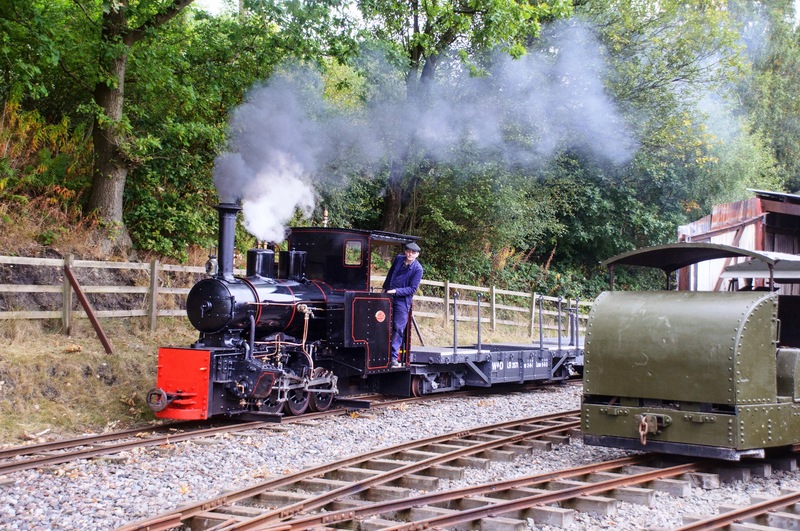 The locomotives from the Welsh Highland Heritage Railway will further add to the attractions at the event, and they represent important elements in the story of how narrow gauge railways supported the troops during the First World War. 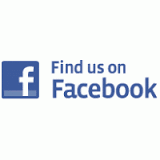 We are very grateful to our friends at the WHHR for their assistance with this”.